Amramp now proudly carries an expanded line of accessibility equipment, including inclined stair lifts, vertical platform lifts, portable ramps (and rentals! ), overhead patient lifts, portable roll-in showers, threshold and entry ramps, inclined platform lifts, pool lifts, grab bars, wireless alert devices and more. Call or submit the form for more information. 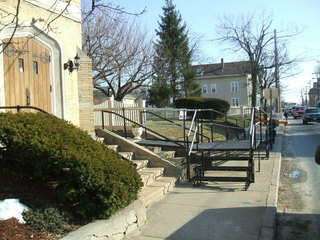 Most historic structures like churches were not designed for wheelchair accessibility. 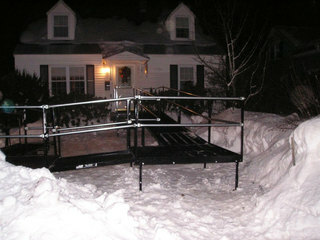 Amramp’s modular ramps are installed quickly and can be removed without any damage to historic buildings. 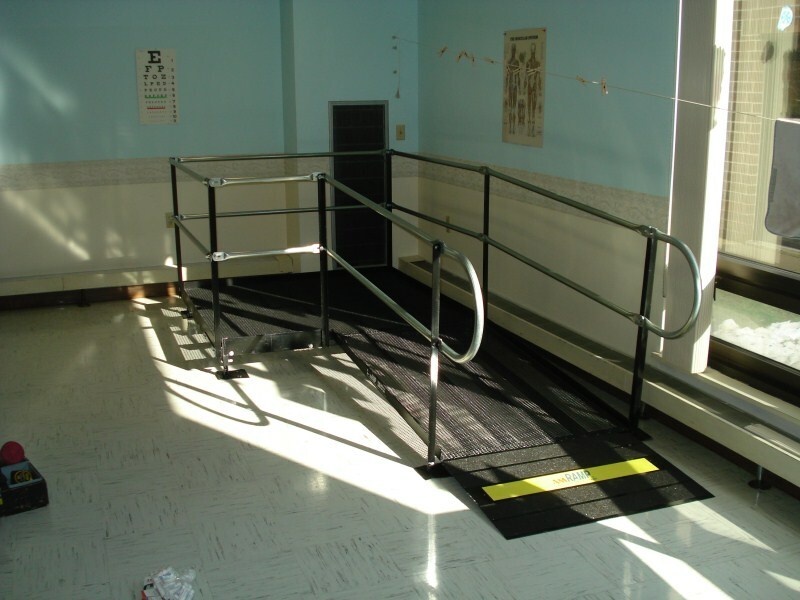 Amramp ramps are often used in physical therapy and rehabilitation centers. Amramp’s steel, mesh platform does not accumulate snow or moisture, a vital factor in Alberta, Canada.